We want you to feel at home. You may opt to make alterations or perform installations that fall outside of the scope of our maintenance service. All work performed in the unit, whether it be painting an accent wall, installing a satellite dish, or mounting a TV requires a Self Help Form. All Self Help Work must be performed by you and must be returned to its original state upon move out. What Types of Alterations May I Perform? Some common alterations are listed below. All of these require a self help form be completed by you and approved by a member of our team. 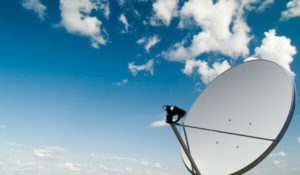 You may opt to receive satellite, rather than cable TV service. Many residents opt to paint one or more walls. This is permitted, so long as walls are returned to their previous state on move out. 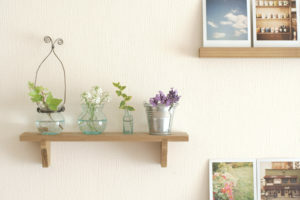 Shelves may be installed on walls of homes. TVs can be mounted to walls. 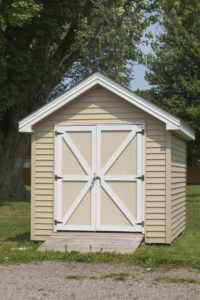 A storage shed may be placed within the fenced yard. Work must receive approval from AMH via a self help form (we try to get these approved as quickly as possible). You must agree to all terms and conditions notated on the form; beginning work signifies agreement. You must acknowledge sole liability for damages or injuries that result from performing the work or from the alteration itself. All alterations/additions must be returned to their original state. Contact us to determine if conveyance is an option. If you’re not completely sure as to whether a task requires approval, you may contact our office.